Shushma Datt is one of the best known names and personalities within the South Asian community. 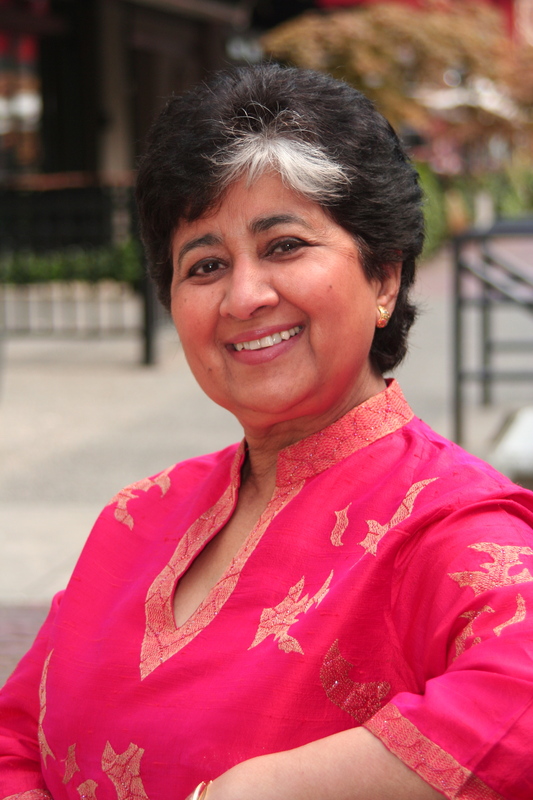 Recognized as a media pioneer and respected broadcaster, Shushma is President and CEO of i.t. Media Broadcasting, Western Canada’s largest South Asian media organization, with properties that include two radio stations and three television programs. Shushma is heralded for launching the world’s first 24-hour radio station for South Asians outside of India. In 1987, she launched Radio Rim Jhim, an SCMO service available by private radio, cable and satellite. This station continues today and is broadcast in the five provinces with the highest density of South Asians. In 2005, Shushma became the first Canadian woman to be granted a license by the CRTC. She subsequently launched RJ 1200, a station dedicated to news and entertainment for South Asians living in Canada. Shushma’s 1972 arrival into Vancouver is recorded as a historical moment in Chuck Davis’ chronicle, “The History of Metropolitan Vancouver” as she had already established a reputation as a prominent broadcaster with the BBC in London. Over the years, Shushma has been involved in many types of media that that incorporate a South Asian component. These include CJVB and CHQM Radio, Vancouver and Cable10 Community programming, the Multicultural TV channels, World View Multicultural Pay TV, Channel M and OMNI TV. Shushma has used her prominent position to draw attention to many social issues within the community. She is an avid fundraiser as well as a supporter of local artists.Her many of years of community leadership and advocacy have yielded dozens of prestigious awards and recognitions, including the Order of British Columbia (1992) for outstanding service to the province, the Queen’s Golden Jubilee Commemorative Medal (1993) also for outstanding service, the Humanitarian Award from the Vancouver Multicultural Society (1995), and the YWCA’s “Woman of Distinction” Award (1997). Shushma was distinguished in 2007 by Business in Vancouver as an “Influential Woman in Business”. In 2008, she was named among 100 of the most influential Indo-Canadians by the Vancouver Sun. This was also the year she was honoured by the Royal BC Museum as one of 150 of the most influential people in BC. This honour included a life-sized cardboard cut-out, which she insists was “prettier” than her. As an avid volunteer, Shushma divvies up her spare time among various organizations. She has previously chaired ICBC’s Stakeholder’s Advisory Panel, and sat on the Board of Directors for both Vancouver General Hospital and Mount St. Joseph’s Hospital. She is currently a board member for the MS Society of Canada. Born and raised in Nairobi in 1946, Shushma graduated from the University of New Delhi and moved to London where she received her broadcast training with the BBC. She produced and hosted her own programs, which gave her access to many headline-makers of the day. Among a range of politicians, dignitaries, activists and icons, her favourite interviews include The Beatles and Mick Jagger.For the past 37 years, Shushma was and continues to be a powerful proponent of multiculturalism. She has worked to make sure all community members have a voice through quality shows that touch on politics, religion and a spectrum of issues that impact both the South Asian community, and the greater community.